Very frustrated with this. I've made a lot of pixel art on Affinity Designer over time, and now that I'm putting it to use, I'm having trouble getting it out of the Affinity format. 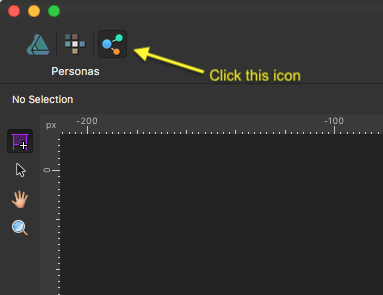 Really simple: all I want to do is save my work as a .png. Affinity lets me do this, but resampling takes place, and all options available destroy the work. 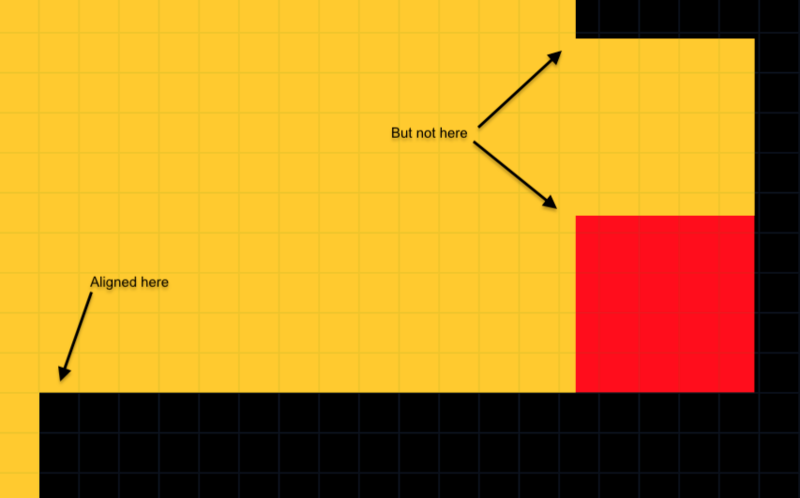 Most do it by antialiasing it, which is fine, because they're not meant for pixel art - the problem is that it also happens with 'nearest neighbor' (the one that should work), as it applies some sort of non-pixel-perfect method that ruins all proportions. I've attached an example an example of what I mean. 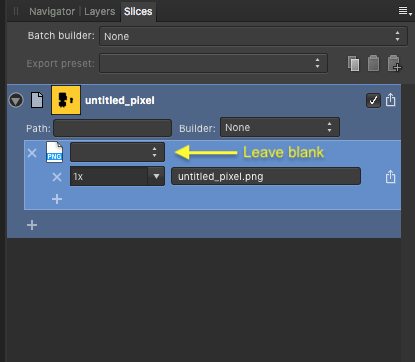 The red pixel on the right figure should be a square, but on the exported result, it is a rectangle. Did you rescale the artwork? If you look at the transform panel you can see that the they are no longer integer sizes. Just showing measurements between the exported png and the original. 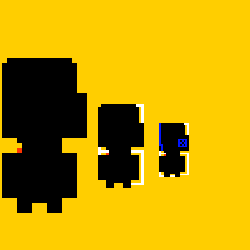 To tag onto @dutchshader inquiry, you can scale the little people to integer sizes Large one will scale up to 85px x 155px and the little one will scale up to 32px x 62px these will export 1:1 so the square remains a square. I think that, as @dutchshader has hinted, the problem has been introduced by the objects being scaled down in the first place! Very nice way of showing it! Correct! I believe you're in the right path to answering the question. A lot of my objects are indeed not integer sizes. I've also discovered that the keyboard shortcuts to enlarge the pixel brush does not go 1px > 2px but 1px > 1.1px > 1.3px and so on. My question then is - how can I scale all objects to an integer number, and how can I make the brush go in integer numbers too? Probably related too: it seems impossible to have some of my objects aligned with the grid. 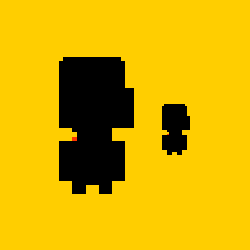 This happens with objects that have non-integer values (a new pixel layer does not have this problem, up until it's scaled). My question then is - how can I scale all objects to an integer number, and how can I make the brush go in integer numbers too? You can use expressions such as round(h*133%) in the Transform panel to ensure integer dimensions, but other than typing in the desired value for the brush size I don't know of a way to change it by an integer amount. All I did was Click in the width box and press the up arrow on my keyboard until both width and height were integer (whole) numbers. Thanks. What I meant was that I don’t know of a way to force the keyboard shortcuts to work in whole numbers. @firewater Hi, Does this pixel art have to a particular size or are you just experimenting to find the best settings for pixel art export? I'm just trying to find the best settings for pixel art period, but at the minimum the ones for getting the objects out Affinity, as sadly it seems I'll have to drop it for this type of use. And I don't even mean literally exporting, I mean ANY way of getting these layers out of Affinity without a loss of quality - because, for example, I've tried copying an object and dropping it into another program (MS Paint, Photoshop), but when I paste it it's always antialised/blurred. I don't think the way I work is any different from anyone making pixelart. It's two really basic things that seem to give problems: increasing/decreasing the brush size, and scaling the object (don't think I'd have to explain why, anyone who draws surely is familiar with getting most of their edits out of these). Your file works fine for exporting and everything, but anything I do to it that includes scaling (something, as I said, anyone would do constantly), messes it up: now both figures on the right have non-square pixels when exporting. If you do that, the new height will be rounded to the nearest integer but the width will be kept exactly in proportion (which may not be an integer value). Instead of locking the ratio and changing one value, you need to change each value independently; e.g. 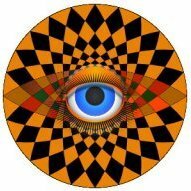 round(w*133%) in the W box and round(h*133%) in the H box. You just need to type in the desired value, or a formula for it. In the file attached to your previous post (which I didn't see when I posted shortly after you did) the smaller variants have non-integer widths, so you need to type 46 or and 30 into the Width boxes for the medium-sized and smallest ones respectively (or paste the formula round(w) into each one). 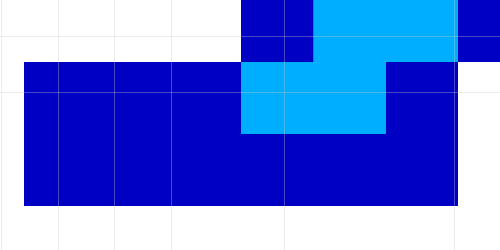 I haven't checked this but I think you may also need to force each shape to sit on a pixel boundary. You can either do this via the Transform panel or (probably easier) by using the 'Pixel work' snapping preset and moving each shape a little after ensuring that it has integer dimensions.